At the entrance of the village there is' a puddle of stagnant water that serves to wash.
Yangon ,Myanmar .These Burmese people are now located in this hot, deserted area, due to the Cyclone Nargis which devastated their homes in 2008. However, since then, they have been forgotten by their government. They are now living in small, bamboo huts, suspended on four poles with very low roofs. It is exceedingly hot during the day and can be very cool at night. Just across the river lies the bustling city of Yangon where many of these villagers go, taking the ferry across, to look for jobs. The more fortunate have found work, but the wages are usually insufficient to move into the city. Therefore, they remain in this village which is known as Dala. 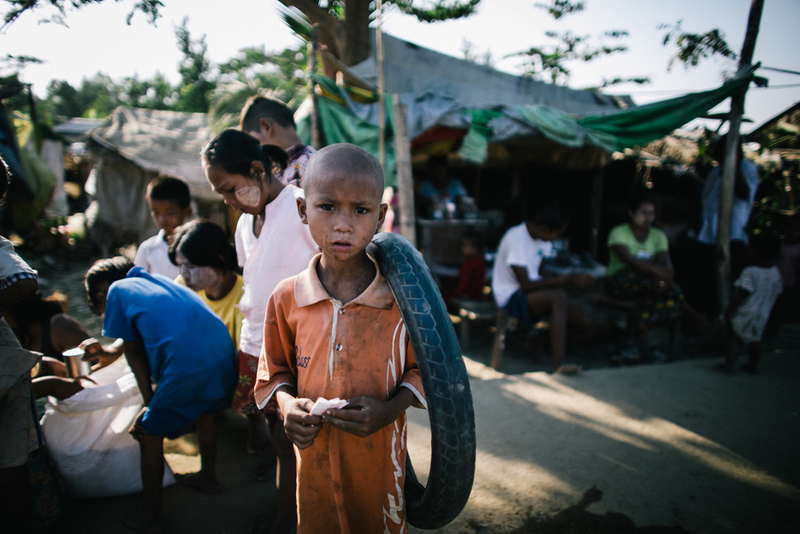 The village is composed of about 50 huts and there are many children left playing in the dust and stones along the only road in the village. There is no water and so the villagers have to walk for at least one kilometer before reaching the pump for the community water supply. At the entrance to the village there is a small pool of stagnant water which serves for washing. 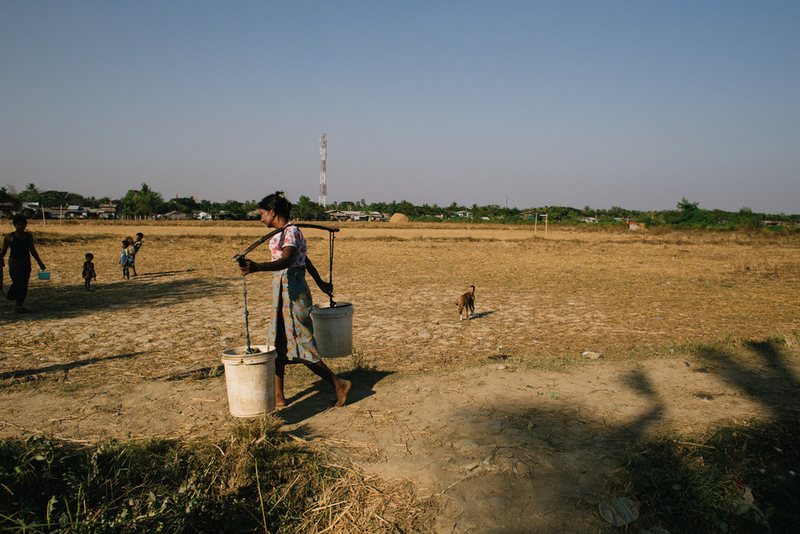 The women carry two heavy buckets of water suspended across their shoulders from the pumps to their homes several times a day, as there is also no other alternative for transporting the water. 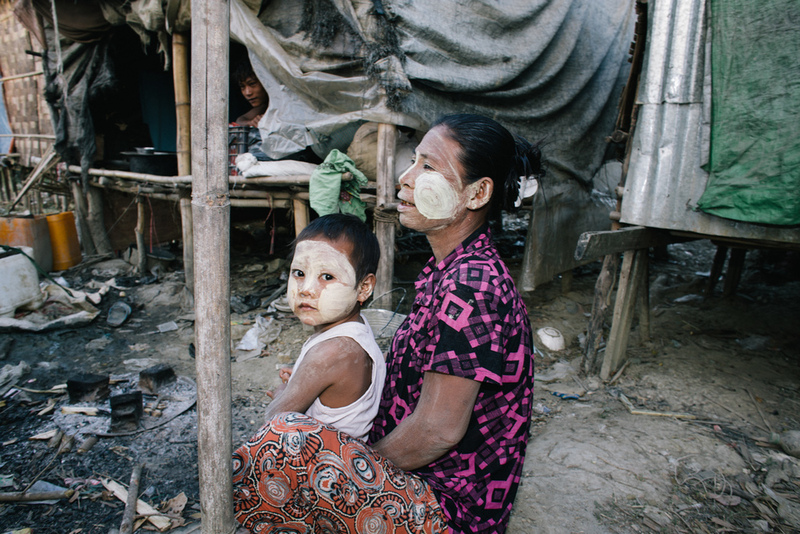 During the 4-month long Monsoon season, the dust turns to mud, making their ‘water journey’ even more difficult. The villagers no longer have any faith in the promises made to them by their government and have resigned themselves to their new reality – one which they have experienced now for 8 long years. The youth escape to Yangon in pursuit of a better future, but the women of the village have no choice. They remain to tend to the elderly, whose faces express the exhaustion they feel, and the small children – and thus, it is the women who must face the “water crisis” alone. This ongoing project born in Yangon, together with the director and videographer Jeevan Giovanni Leoni ,with the hope to bring support and water ,to the people of the Bamboo Village in Dala Township .